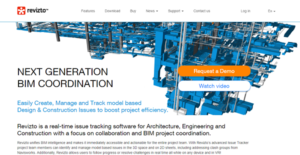 Revizto is a robust, powerful collaboration solution that enables construction teams, architects, and engineers to collaborate and coordinate via a multidimensional issue tracking and coordination hub. It empowers team members to communicate and be more accountable and effectively address issues in real time throughout the entire project lifecycle. Revizto makes coordination and communication smooth and seamless in all steps of the project, including project inception, design, construction, and operation. The software is now the choice of constructions firms, engineers, and architects for their pre-construction and construction phase planning and coordination. With it, users can track the implementation of their building plans and make the necessary adjustments ensure that their goals are realized. Revizto provides you and your fellow professionals and firms in the Architecture, Engineering, and Construction (AEC) industry with a powerful and rich collaboration platform that greatly improves the way you plan, manage and implement your projects with the rest of your team. With Revizto, you have a cloud-based hub where you can bring all your projects and team members in one place, making it easy to share ideas, instructions, and discuss plans and address issues. You and your team can collaborate on 2D sheets and view all your issues in 3D sheets. Revizto provides you with the ability to see the 2D sheets of your plans on top of their 3D visualizations. This functionality provides you and your team with a better understanding of your model. Spotting issues and identifying areas of improvement become faster, which means you and your team can work on them immediately, resulting in better and more efficient designs. It is critical that you have a total view of your designs, including updates and changes. With Revizto’s Project Gallery, you can easily see the latest version of a project, including details of the updates or changes that are introduced. Revizto also gives you revision control. Whenever you need to look at any revised version of your project, all you have to do is make a search and the software will instantly bring it to you. And if you need to revert to any revision, Revizto lets you do that too. Architects, engineers, and construction professionals work with various designs and models and combine them to see what and how the whole picture looks like. It can be a difficult task but with Revizto, you can combine models and designs from other BIM/CAD systems and create a federated version without breaking a sweat. If you are interested in Revizto it may also be a good idea to examine other subcategories of Best Building Information Modeling Software - BIM collected in our database of SaaS software reviews. Since each organization has particular business needs, it is prudent for them to refrain from looking for a one-size-fits-all perfect software solution. Needless to say, it would be pointless to try to find such a platform even among market-leading software applications. The intelligent thing to do would be to list the various important elements that need consideration such as key features, budget, skill levels of workers, company size etc. Then, you should do your groundwork thoroughly. Read some Revizto reviews and look into each of the other systems in your shortlist in detail. Such comprehensive groundwork can ensure you weed out ill-fitting platforms and zero in on the system that provides all the elements you need for business success. How Much Does Revizto Cost? Revizto offers the following basic and enterprise pricing options. Check them out and see which ones suit your business best. We realize that when you make a decision to buy Building Information Modeling Software - BIM it’s important not only to see how experts evaluate it in their reviews, but also to find out if the real people and companies that buy it are actually satisfied with the product. That’s why we’ve created our behavior-based Customer Satisfaction Algorithm™ that gathers customer reviews, comments and Revizto reviews across a wide range of social media sites. The data is then presented in an easy to digest form showing how many people had positive and negative experience with Revizto. With that information at hand you should be equipped to make an informed buying decision that you won’t regret. What are Revizto pricing details? What integrations are available for Revizto? If you need more information about Revizto or you simply have a question let us know what you need and we’ll forward your request directly to the vendor.